The Reliabilt 3500 window is the high end vinyl window from Reliabilt that is actually a relabeled Atrium 8700 series. Reliabilt windows are often sold through the big box stores such as Lowes and Home Depot and the per window cost can seem very low. However, be sure to note that typically the windows listed on these particular sites have no upgrades or add ons that can help with the overall performance of the window (and add to the cost of the window.) It's similar to the MSRP on a car - essentially the base price. The Reliabilt 3500 series includes all of the upgrades of the Reliabilt 3301 window, along with a better warranty, aluminum sash reinforcement and one extra color option in bronze. This reinforced sash should improve the performance of the window. Standard features on the 3500 include a beveled exterior, push button night vents, a constant force balance system, and an aluminum charcoal mesh half screen. The Reliabilt 3500 window replacement costs should run $20 to $30 per square foot for the window itself. The 3500 series is comparable in quality to Pella 250 window costs and Simonton Asure windows prices. 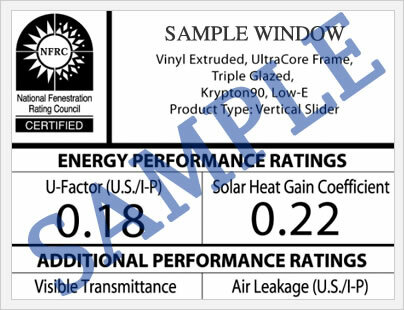 The Reliabilt 3500 double hung should have a 0.31 U-factor, 0.21 SHGC and a design pressure rating of 35. Several upgrades can get the DP rating up to 50 to make the window coastal zone compliant. The Reliabilt 3500 model spec sheet says that the window is Energy Star qualified in all 4 zones. Consumers should double check this with their contractor prior to purchase. The 3500 series comes with a limited lifetime warranty that covers the vinyl mainframe and sash. The window also includes a 25 year glass breakage provision, although on a prorated basis. The warranty is transferrable to a subsequent owner - however the warranty period for the second owner is only 10 years from the purchase date of purchase. 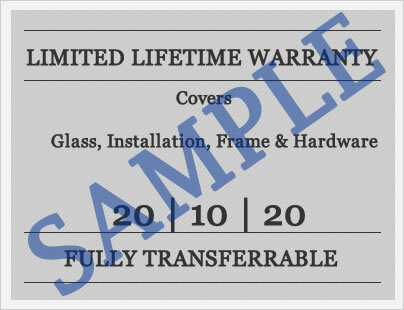 In general, this warranty is relatively solid based on the price point of the window. All replacement window warranties include a number of exclusions and limitations that you should read in full prior to purchase. Do you have Reliabilt 3500 windows reviews that you would like to share with others? Submit your positive and negative reviews in order to let other homeowners learn from your past experiences with this Reliabilt window. Questions on this relabeled Atrium window? Ask our site editors your questions and get the insider information you need to make the best decision for your home.